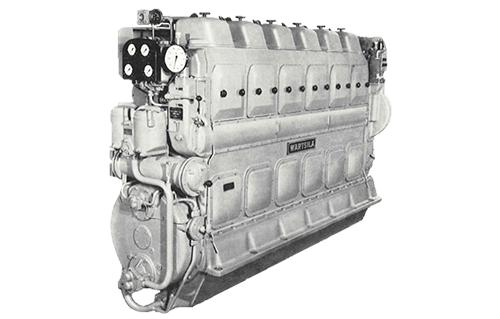 VASA, the Vasa 14, later indicated as the Vasa 24, is the first engine fully developed and manufactured by Wärtsilä in Vaasa, Finland. With a fully cast bed plate and cylinder block, a very rigid and easy to maintain engine type had been introduced in 1960. Production of the Vasa 24 ceased in 1990 when the engine was superseded by the Vasa 22 and later the Wärtsilä 20.